Virtual visit in Musée d'Art Contemporain de Lyon. Warhol Foundation in New York, New York. 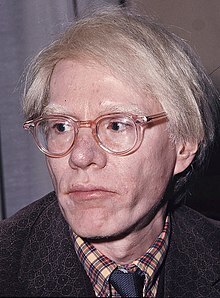 Artinthepicture.com: Andy Warhol A general introduction, biography, quotes, and art works by the Pop Art Icon. Andy Warhol Profile Includes a biography, selection of images, famous quotes, and links to the artist. Two short articles about Warhol's 2002 museum retrospective from the art magazine "X-Tra"
Actual exhibitions with Andy Warhol on Artfacts Andy Warhol's works are still widely at present in various shows and permanent collections in museums or galleries throughout the world. http://www.the3graces.info A warholesque biography of Andy Warhol.